Picture above: One of the lovely ladies i met on the way to Kumasi. I’ve noticed that the word “hawker” is used differently in different parts of the world. Of course a lot of us only use it when referring to someone who sells good on the street by chanting out to people but after a bit of research on “Hawkers” i noticed Hawker is actually used slightly differently around the world. My own definition on what a “Hawker” is, is pretty much just the same as most people. Someone who sells good on the street. A lot of people can be ignorant towards hawkers though and mistreat them as they see it as annoying to be disturbed by them. I think this is ignorance because they dont actually know and realize that they are just trying to make a living or earn some money. While i was in Ghana of course there was a lot of street hawkers around and while some of them may be in your face a lot it is still something i learned to deal with and understand. A lot of people don’t stop to think about how hard they are working for a small amount of money first of all. Not to talk of the long hours in the heat too! Also i have heard some ignorant people saying they should just go and get a “real job” ! when in actual fact they have no idea why they don’t have a “real job” ! Street Hawkers can be doing that job because of a lot of reasons. One being they might not have the money to pay for university fees to get the job they dream of or some people might just be doing it as a job on the side. I have a close friend who’s mother is living very comfortably and has other jobs yet she still sells goods as a side job just because she enjoys it. So i think people shouldnt be quick to judge. 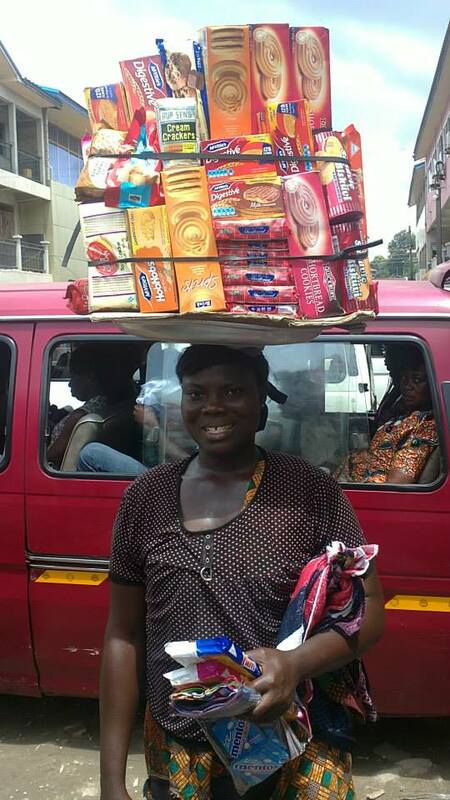 I actually met some lovely friendly people while out in Ghana who are street hawkers because i am a huge food lover and couldn’t resit buying almost every food i seen lol one thing i actually miss about Ghana was buying different foods from hawkers. Also i found it very handy when i was on the road a lot and got hungry or thirsty and there was the street hawkers to buy some food from.